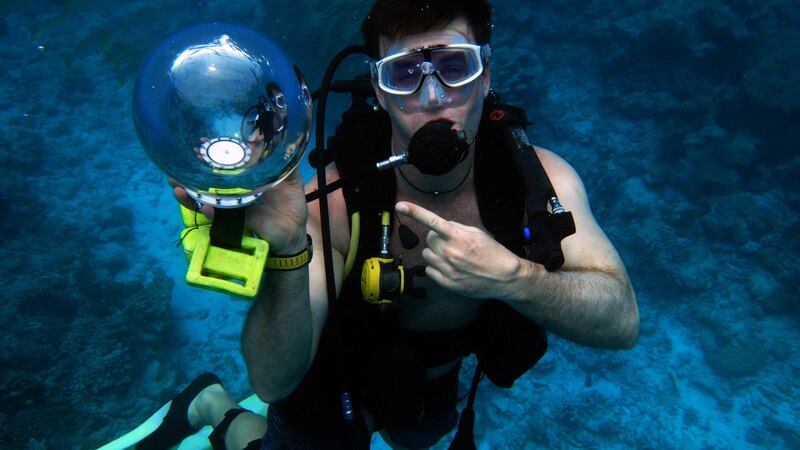 Home › News › We're excited about taking 360 videos and photos underwater! We're excited about taking 360 videos and photos underwater! We're really pleased with the results we're getting from our 360bubble housing. We first got our hands on the Ricoh Theta S camera in January and as soon as we took a look at the photospheres and 360 videos we captured with it we knew we wanted to get it underwater. We searched all over the internet but there were no housings available to get this great little camera beneath the surface - that is when the fun started! First test dip beneath the surface for the prototype without the camera - just in case! But it worked brilliantly and we took the camera on the next dive...watch the first video we captured on a coral reef in the link below. 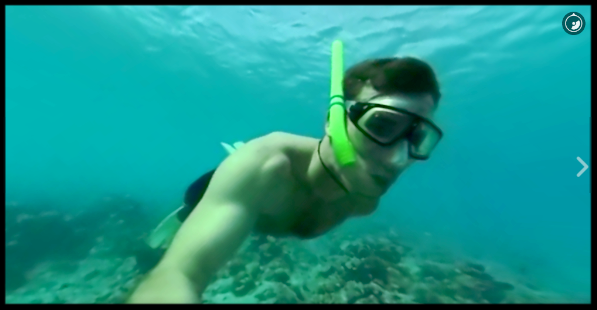 Getting our first underwater 360 video with the 360bubble prototype on a coral reef in the Indian Ocean in February. Click on the image above to play the video. After making improvements and tweaking the design we have now taken 360bubble around the world and are really pleased with the footage and stills we are capturing. We would really like to hear from you - let us know your thoughts on 360bubble and our results. We have posted photospheres, 360 videos and tiny planets on ourFacebook and Instagram pages - either reply to this email or post on our social media sites. 360bubble in Hawai'i at the World Conservation Congress - Google & Sylvia Earle!